As 2011 rolled in, we had some things to celebrate… mainly, the fact that we still had another month in Savannah! We’d been having a great time, and were in no hurry to leave. 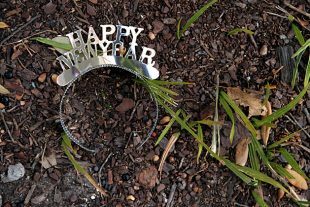 Our New Year’s celebrations had been just like Savannah itself: weird, hilarious, a little disturbing, and unforgettable. And as we stumbled home after a wild party, the city showed us a new trick: a dense fog had settled in on the streets. Oh Savannah, stop being so gorgeous!